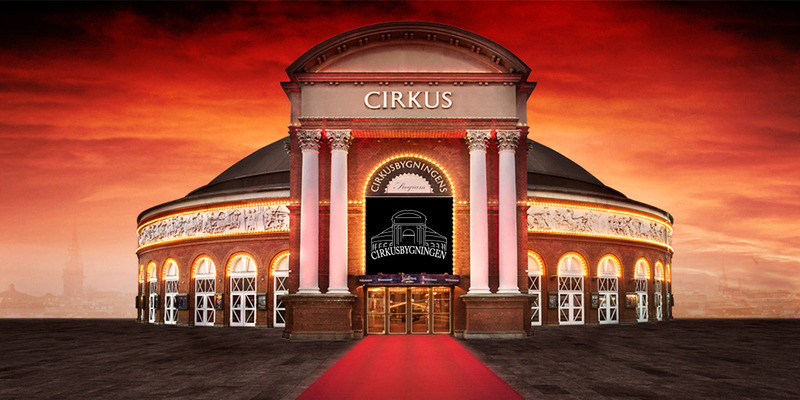 The Circus Building is located in the heart of Copenhagen, close to Tivoli Gardens, Copenhagen Central Station and some of the best hotels. It is a historic and renowned landmark in Denmark, which is the perfect venue for business events in relation to meetings, conferences with dinner and parties. The success is guaranteed, whether the guests will be celebrated and honored, fed and fascinated or impressed and informed. 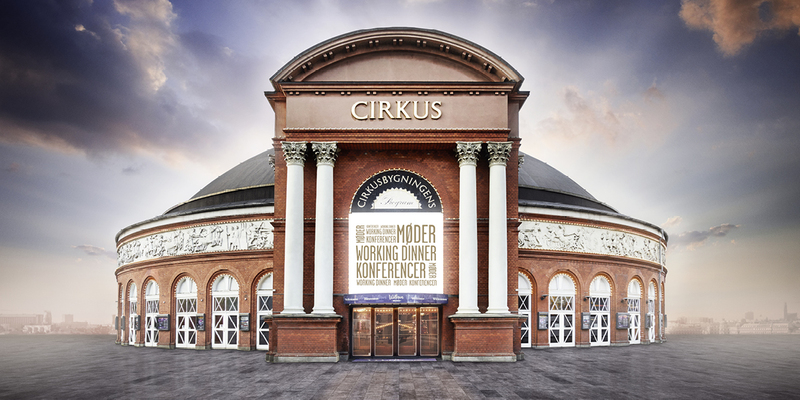 Under the impressive dome lies the big Circus Hall, a perfect room for high-flying thoughts and far-reaching plans. 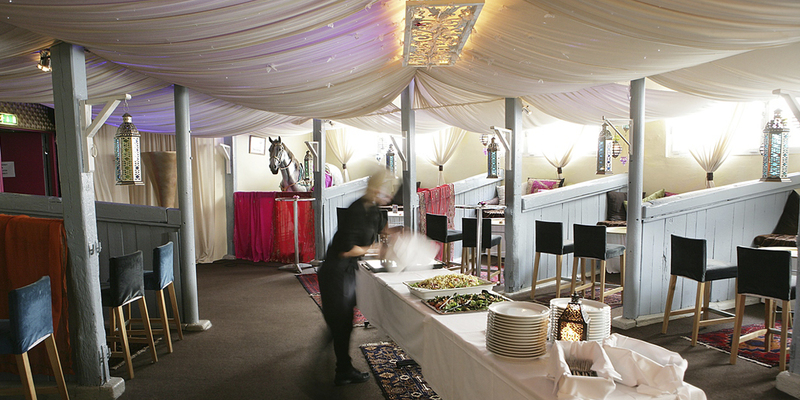 Smaller groups can experience the magical atmosphere in the old stables, Buddha Lounge, ideal for both professional and social events. 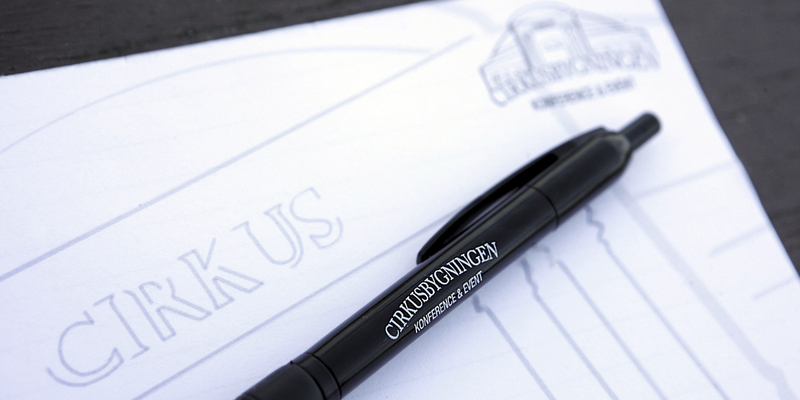 The Circus Hall is an impressive space, overwhelming visitors with its grandeur and modern technology – not to mention the indelible presence of history. It is a magnificent auditorium for high-flying thoughts and far-reaching plans, which creates unique opportunities for larger events. 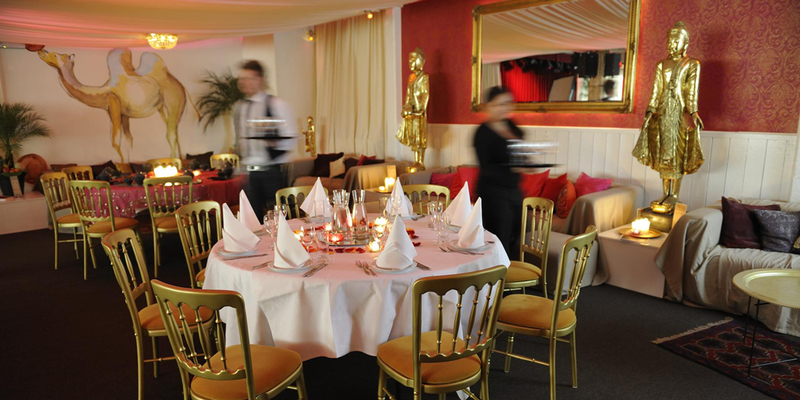 It is perfect for any type of events: conferences, conference dinners, award shows, VIP events, company parties etc. The sky’s the limit. If you are looking for a beautiful, historical and spectacular setting without compromising on facilities and technology, then the Circus Hall is the right choice! The Circus Hall is a huge, impressive space with a wonderfully high ceiling. Our state-of-the-art equipment provides the very best, customised lighting on the Hall’s various stages: both the main stage and the other, smaller stages located throughout the space. At the tables, which are arranged on seven plateaus, the level of lighting is more subdued. That is particularly the case on the rear plateaus. On the lower plateaus closest to the stage, you can achieve a reasonable level of lighting at the tables. If you have any questions about lighting in the Circus Hall or would like to see the options with your own eyes, please feel free to contact us. 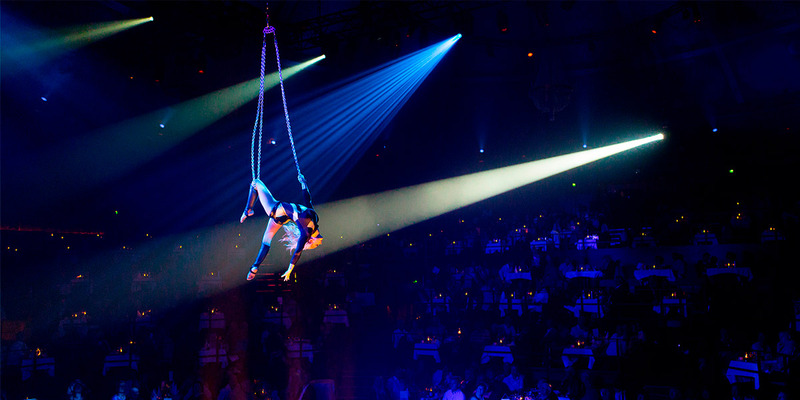 The Circus Hall is already equipped with sound and light for the Wallmans show, and our professional technicians can create a light show to suit your event. Our technical staff must always be present during events in the Circus Hall. They can take care of any LCD & video presentations. We charge extra for lighting design and production. Buddha Lounge is the Circus Building’s former camel and horse stables. 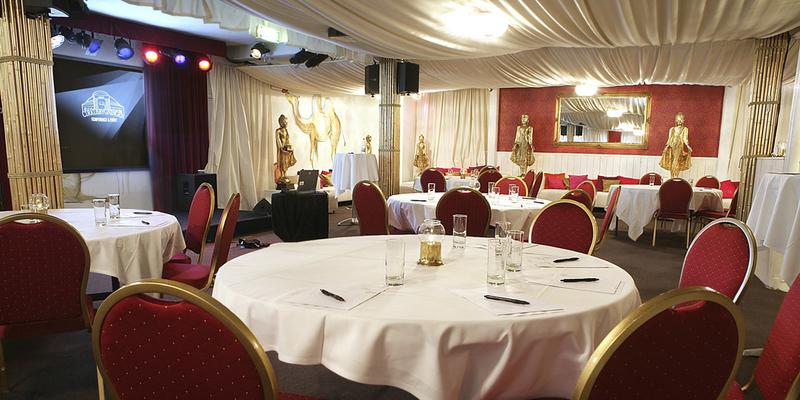 Today, it provides a splendid and inspiring alternative to traditional conference suites and function rooms. 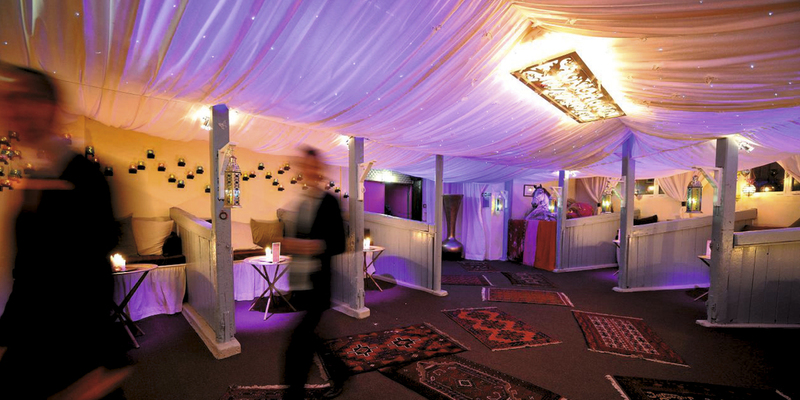 The exotic atmosphere creates an intimate and atmospheric oasis, which is the perfect setting for your small event. It is perfect for any type of events: meetings, receptions, team building activities, conference dinners, VIP events, company parties etc. The sky’s the limit. The Circus Hall is an auditorium with 7 plateaus and a stage. The hall is 1225 m2 big (21 m to the ceiling), and the foyer is 515 m2 big. 200 – 1000 people. There is a bus right to the door, and Copenhagen Central Station and Vesterport are just around the corner. In addition, Copenhagen Airport is just 10 kilometers away. As an extra service, we now offer a 15% discount on parking at Q-Park Vesterport P Station at Nyropsgade 42 - just a few minutes walk from the Circus Building.